Hi ! Long time no see ^^ Hmmm....I've only posted a few posts for Nov 2011. Guess that's my lowest point in blogging per month in this blog. Just been too tired to blog. Tho I'm glad there are still people reading Dazed by Life ! Last week I tried to follow the MAMA streaming, but it was just too slow. Thankfully Indosiar aired it the next day....until almost 2 am !!! Had the satisfaction to finally see Hyun Joong up close on my TV screen !! 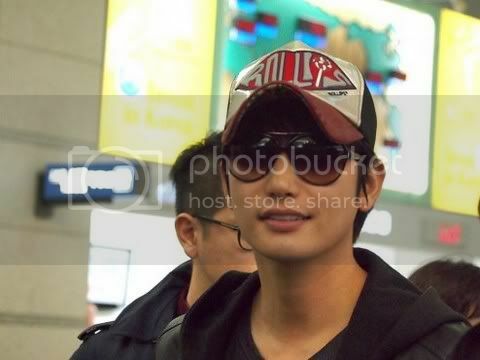 And an added bonus, Park Shi Hoo, Song Seung Hun and Choi Si Won !!! Me wasn't that much interested in anyone else...so.....that night ..I virtually flew to Singapore and left my heart there for a while. 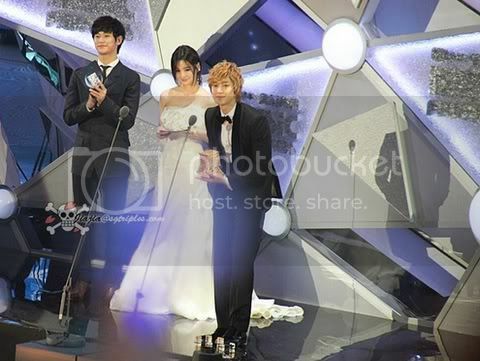 So Happy that Hyun Joong won the award, he really deserves it. onnie, itu komen di atas salah satu partner dari BBFI yg mau mengadakan gathering, diriku ga bisa datang, pas tanggal itu komisi anak merayakan natalan, ouhh hectic week and yeah i want to say im sorry hiks..hiks..hiks..
kalau onnie bisa datang pas tanggal itu datang saja, pasti menarik, media partner yang mendukung banyak, doorprize nya limited edition "Lucky" album, htm 150.000 sudah termasuk CD Lucky, goodiebag dan snack. and acaranya dari jam 09.30 sampai jam 13.00 kalau tidak salah. enjoy your fangirling time onnie in the middle your hectic schedule. Thanks for visiting. Yup, I'm a big fan of Hyun Joong. 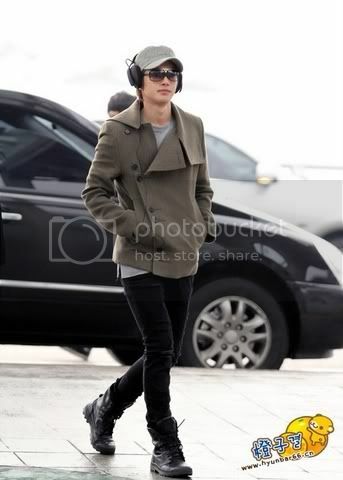 The trouble is, besides being "big", I'm also "old" hahaha....maybe older than Hyun Joong's mom. first, when I say I'm old ...I mean it [maybe it's not apparent in the way I blog] so I'm always buying the ticket though someone else ...get the goodies^^and don't go...as I will be the oldest one there. i tried persuading my daughter to go...but she is busy with school stuff. second....I will really be busy that day...preparing for my daughter's [17th] B-day . So have a fun and happy time with other KHJ fans on the 18th, I hope the event will be a big success !! and I was counting on you to buy the tickets for both of us. But it's ok...it can't be helped. Kalau ketemu Hera tolong bilang makasih banyak ya...udah inget saya. Too bad a dedicated KHJ fan like you can't attend the launching ! We will get the album somehow... preferably from somewhere that's counted for the statistics in S.K. As you read above, I'll be busy and the time is not right as I'm not home from Church yet. UR right, kalau lihat poster di blognya hyunited6686....it's very professionally put together and promises to be a great event. I'm glad for Hyun Joong...and for KHJ fans in Indonesia...finally there's a KHJ-event we can be proud of [even though U 'n I can't be there...we will be supporting in spirit] . if others i'm not regret so much cant attend their show here, if leader come and i cant attend ouh banging my head to wall, i will. even im not updating my tumblr n tweet with leader but yeah deep inside my heart that still linked to him cant broke easily. this will be a big history after super junior came to indonesia if leader can come here.i hope Bae ahjussi allow leader to come here. and yeah miss Joeshia say sorry that she cant contact you onnie, bcs she still busy, but for January its already fix,should i email you for the sched? I will wear a MASK and GO !!!!!!!!!!! Shhhh ! dunt squeeal too loud...LOL !